The Palestinian Prisoners Society (PPS) has reported that Israeli soldiers abducted, Sunday, ten Palestinians, including the governor of Jerusalem and several children, in the occupied West Bank. 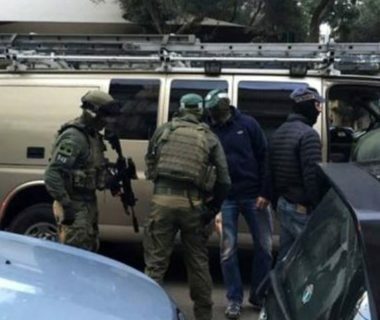 The PPS said many soldiers invaded and ransacked the home of Jerusalem Governor, Adnan Gheith, in Silwan town, in occupied Jerusalem, before abducting him. It is worth mentioning that Gheith was repeatedly abducted and detained by the Israeli Authorities. In Bethlehem governorate, the soldiers searched many homes and abducted five children identified as Amer Khaled Taqatqa, 13, Mahmoud Ibrahim Taqatqa, 14, Hisham Maher Taqatqa, 13, Ayham Ghassan Thawabta, 17, and Mohammad Yahia Thawabta, 16. In Qalqilia, in northern West Bank, the soldiers also searched homes and abducted Ibrahim Mansour and Daoud Mansour. Furthermore, the soldiers abducted Mohammad Salman Nassar from his home in Beit Qad town, east of the northern West Bank city of Jenin. The soldiers also abducted a young man from Ramallah, in central West Bank, after stopping him at a military roadblock in the Shuhada Street in Hebron city, in the southern part of the West Bank.